Dr. Patel is originally from India, where he obtained his Bachelor of Dental Surgery and practiced general dentistry for around three years. During this time, he also received advanced training in cosmetic care. 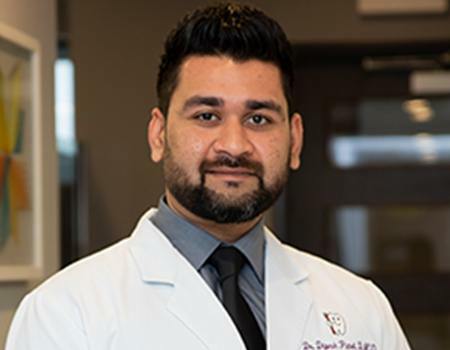 His passion for dentistry and determination to excel in the field eventually led him to move to the United States and attend the Advanced Standing Program at the University of Illinois in Chicago, where he completed his Doctor of Dental Medicine. When he isn’t busy at work, Dr. Patel enjoys participating in all sorts of outdoor pursuits, including hiking, biking, traveling. His favorite vacation destination is Puerto Rico. He’s also a big dog lover and a staunch opponent of animal cruelty, regularly volunteering with various organizations that spread this message.